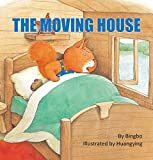 A gentle story about a rather foolish squirrel that builds his new house on what he thinks is a large rock; but it turns out to be something quite different! Each morning as he wakes up, he finds that his house has mysteriously moved and he is puzzled. The squirrel quickly adapts to his foreign surroundings each day, that is, until he finds himself in danger.